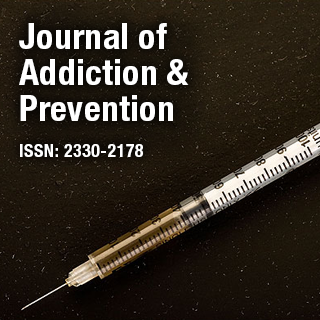 Journal of Addiction & Prevention is an online peer reviewed Open Access journal that encompasses all the habits that leads to addiction, such as tobacco, alcohol, narcotics, illicit drugs and behavioral addictions and focuses on latest and innovative research pertaining to preventive measures. Dr. Xiang Yang Zhang is an Associate Professor, Department of Psychiatry and Behavioral Sciences, The University of Texas Health Science Center at Houston, USA. His studies in cognition, biomarkers including oxidative stress, neuroimaging, genetics and clinical psychopharmacology in schizophrenia and addiction research.